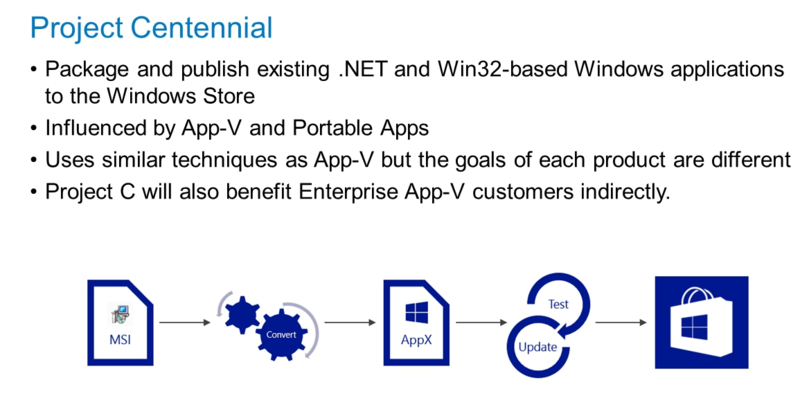 Microsoft today released some important details about the future of App-V in a Flexera Webinar. Here are some highlights. 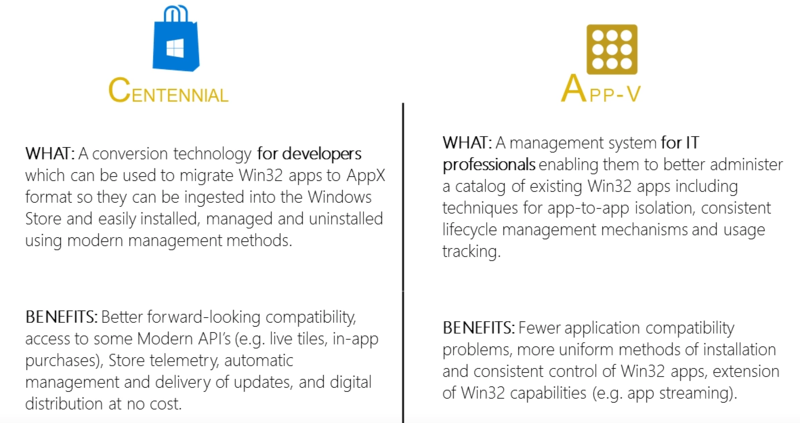 The App-V client is going to be a part of Windows 10 - Windows Enterprise that is. This will happen in Windows "Redstone 1" and "Redstone 2"
June of 2016 for "Redstone 1"
October 2015 for "Redstone 2"
Not a replacement for App-V rather uses App-V technology under the covers. Michel, we’re glad you found value in our webinar with Steve. Application virtualization is something many organizations are moving to and is an important part of Microsoft’s strategy.